Novak Djokovic was so good, so relentless, so pretty much perfect, that Rafael Nadal never stood a chance. PARIS — The crooked tennis players knew him as “Maestro.” To European investigators, the Armenian based in Belgium is emerging as the suspected ringleader of an organized gambling syndicate suspected of fixing hundreds of matches and paying off more than 100 players from around Europe. As Roger Federer and other stars at the top of tennis compete in the Australian Open, players far lower down the sport’s food chain are being questioned this week by police in France on suspicion of fixing matches for Grigor Sargsyan, 28-year-old known as the Maestro, investigators said. Sargsyan is being held in a Belgian jail. Sources close to the investigation, all speaking on condition of anonymity because they weren’t authorized to discuss details publicly, said four French players were in police custody on Wednesday and at least one of them told investigators that he fixed around two dozen matches for Sargsyan. They named the players as Jules Okala, 21; Mick Lescure, 25; Yannick Thivant, 31; and Jerome Inzerillo, 28. None operated in the highest spheres of tennis. The career-best singles ranking of any of them was 354, reached by Inzerillo in 2012. The arrests of Okala and Lescure were first reported Wednesday by French sports newspaper L’Equipe. A dozen or more other French players are expected to be questioned in coming weeks. An investigator said France was one of the countries “hardest hit” by the syndicate, which targeted lower-level pro tournaments. Okala and Lescure were detained before they were to play in a modest tournament in Bressuire, western France, this week that offers a total of $15,000 in prize money. “The impression we’re getting is that it is very commonplace,” one official told The Associated Press. Another said several hundred matches are thought to have been fixed. “In time, they could be managers of other new players or trainers so we have to get them out of the system, or they could corrupt others in a few years,” one official told The Associated Press. Because the bets were small, the risk of detection was “almost zero,” but the profits could still be considerable if many bets were placed, one official said. Still unclear is whether the Belgium-based syndicate was linked to another match-fixing and gambling operation, also involving Armenians, unraveled in Spain . 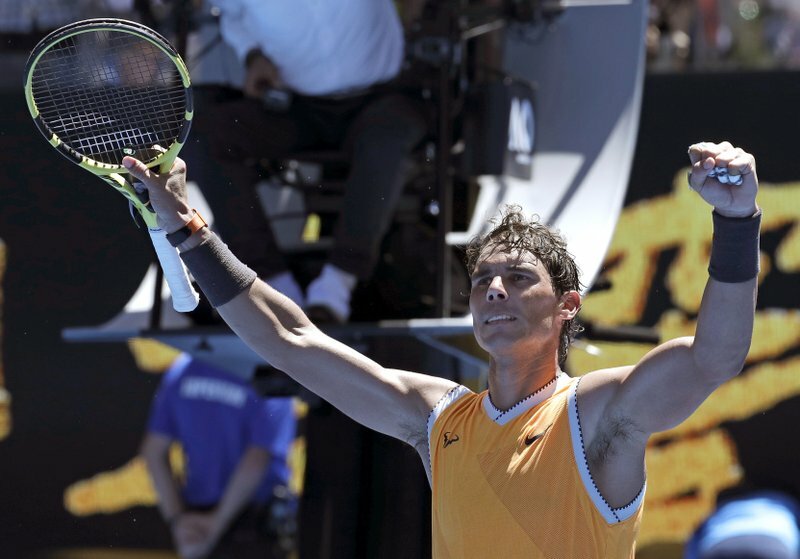 Spanish police last week announced that 28 professional tennis players, including one who participated in last year’s U.S. Open, were linked to that ring, taking bribes to fix results that the group bet on using fake identities. Murray often rested between points. 2009 champ Nadal won easily, as did 6-time winner Federer.